Today Nintendo announced that the Switch has cleared 10 million units sold worldwide; no small feat for the new hardware. 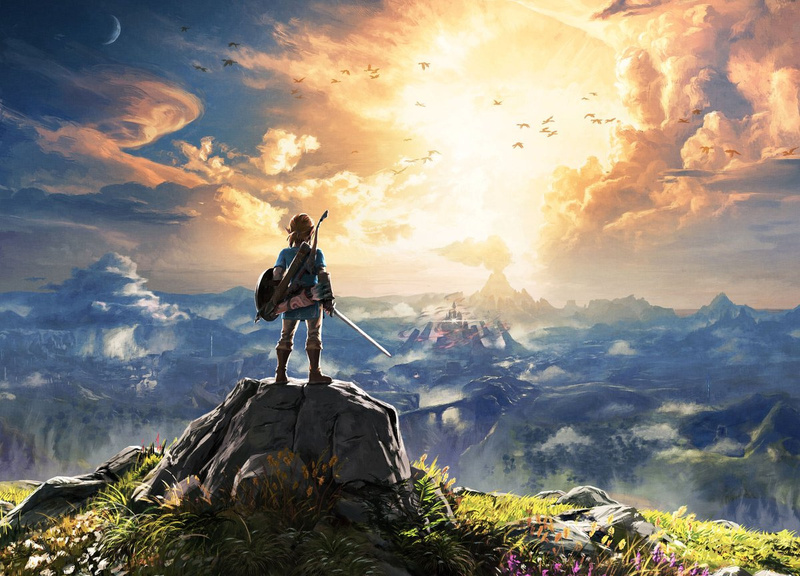 Of course, the Switch wouldn’t have sold half as much as that if it’s software lineup wasn’t so appealing, and Reggie Fils-Aime recently shared some information on the sales performance stats of Nintendo’s biggest releases of the year. Typically if you have a title where one out of five owners have bought a game, that’s strong. That helps drive sell-through of the console. Certainly some strong numbers here, and with the Switch continuing to build momentum, 2018 will surely be a very exciting year for the Big N.
What do you think? How is 2018 going to go for the Switch? Have you picked up all of the games listed above? Share your thoughts in the comments below. The attach rates for some of these games are unbelievable. Even ARMS did relatively well, despite being such a niche title by comparison. Here's hoping 2018 will be just as strong. They need to come out swingin'. Not really impressive when you take into account that Botw and Odyssey have no competition , people Will obviously buy at least one of them when they get the console. You know you've got a fantastic piece of software when it has such a high attach rate. You know you've got an excellent piece of hardware when it sells through 10 million units in less than a year. Nintendo have managed to combine the two with the Switch, which is pretty incredible. Well. duh, they buy the Switch in order to play these games. The percentage of people buying the Switch in order to play some crappy sport game port must be extremely low. I bought Zelda and Mario. Spla2oon and MK8 have done fine without me and I have both originals on Wii U so more of the same didn't interest me. I prefer to support the 3rd parties as I just bought Doom and LA Noir. That way I hope we get more diversity in the Switch lineup rather than just Nintendo titles. I'll get Xeno 2 and Skyrim next year and more than likely buy more 3rd party efforts, hopefully Steep is still coming. I have Zelda BOTW, Mario Kart 8 Deluxe, Super Mario Odyssey, Except Splatoon 2. Shooting games are not my genre. 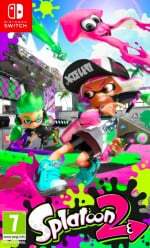 Only a 25% install rate for Splatoon? Blasphemy. @RaphaBoss you're going to have to do a lot better than that when trying to talk down attach rates in excess of 50%--this isn't March, when that tired talking point first reared its ugly head. 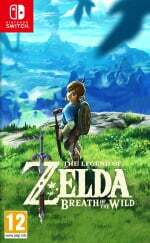 @RaphaBoss To be fair, how can Zelda and Odyssey possibly have competition at all? Performance aside...XC2 is my favorite Switch game. 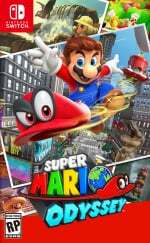 @RaphaBoss on the contrary; it IS impressive that Mario Odyssey and Zelda BOTW has no competition which probably helps drive the sales of the Switch. Your logic is twisted. @RaphaBoss What is impressive is the illogical explanation you give for not being impressed by the attach rates. @RaphaBoss No competition? Are you kidding me? First of all, Mario and Zelda are in competition with each other. The fact that both exist around the same time can really eat into each others sales. Then you have other first party titles like Splatoon 2 and Mario and Rabbids. And that's not even considering all the third party titles that came out in a single month. Doom, Skyrim, LA Noire and Sonic Forces all came out in the same month which leads to Switch owners having more options to debate over. And yes despite all of that, they have a 50% attachment rate. Half of the ten MILLION owners of this console have these two games. 5 million sales in under a year? In Odysseys case not even two months? Thats not impressive to you? Take your troll comments elsewhere. Man even when Nintendo succeeds, you refuse to be happy for them. I'm ready for a Nintendo Direct with some exciting games for next year to look forward to. Poor old Fire Emblem Warriors... Never stood a chance... Hope XC2 ends up doing OK - though it will not even approach the big four's attach rates. Those are amazing sales figures, particularly for Odyssey which only released a few weeks ago. Splatoon 2 has obviously sold mostly in Japan but still good numbers overall. Coming into next year I'd expect Mario Kart and Odyssey in particular to keep up the pace for some time with Zelda dropping off a bit. 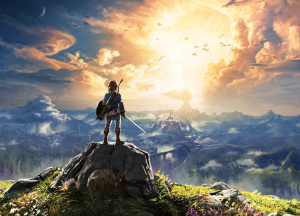 What game has Nintendo got up their sleeves that is going to join them? I have a ridiculous amount of Switch games already (28). It’s a great system so far! Since @justin233 started it, I suppose I'll list my Switch software purchases so far, as well. Aren't I original? I also hope to get Yooka-Laylee and FE Warriors in the immediate future. Truly an outstanding first year! Here's to an equally strong 2018 for the Switch! It's ironic, I'm almost exclusively a Nintendo gamer, yet in what is probably the best year for the company I've ever lived through (in terms of software) my two favorite games this year were Cuphead and Crash Bandicoot N. Sane Trilogy--currently Microsoft and Sony exclusives, respectively. I would kill to have both these titles on the Switch at some point. Out of those I only have Zelda, but I'll probably buy Mario Odyssey sooner or later. @Aerona It's the install base in the US, September had WW at 3.61 million. Have all those top seller and loads more, Nintendo certainly are doing very well. They will absolutely rule 2018 with great first and third party releases. I do think we will also see Wii games in HD, Wii Sports-style game, Super Smash Brawl and Mario Maker 2D or 3D! Wow, that's awesome. All fantastic games that deserve the sales. Especially BotW and Odyssey, Nintendo hit a pair of grand slams with those. Impressive stuff, but let us spare a thought for all the poor souls who don't have Splatoon. Looking forward to another great year of Switch gaming in 2018. With a young son and my TV often occupied, the Switch has been perfect. I think that stories like these justify Nintendo not having all the bells and whistles ready at launch for the Switch. They wanted to give people a chance to get comfortable with the concept. Not become known as a streaming product that just so happen to play games. I have all of them, but nothing surpass my boy rex and nia. Meanwhile Splatoon sales in Japan would beg to differ in contrast to the other games. I think it was the best selling Switch game in Japan right? I might be wrong. Great to see the Switch doing well, I expect it to cross the Wii U in Christmas itself if Nintendo is careful about supply issues. @Aerona I thought think it all comes down to how much you enjoy online multiplayer. I don't so I decided to skip it. I'm going to pickup Odyssey after Christmas, I've just come back to BOTW to do some more shrines before jumping into the expansion pass. Between those two and nine parchments I don't have time for anything else. @Zach777 Dang... I'm not far behind you with 25 Switch games myself. (shakes fist) Not to mention I've had some on my radar that I haven't picked up yet but plan to in the coming weeks. It's been a good year, without question. It's amazing looking back that all these titles were coordinated for the first year, really the first nine months since the launch. Bayonetta 1+2 is still to come for year one. Just bring out SSB Switch and we'll probably have another at 50%. Of course they can. They've been putting out 20+ games a year across Wii U and 3DS. Going from that to a decent Switch release schedule allows for the extra complexity of HD development vs. Wii U development and for them to filter out some filler. If a 3rd party title made it on there I'd be more impressed. 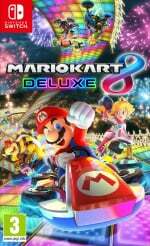 You think Mario Kart on Wii U sold more than most PS4 exclusives, but you know, Wii U was a failure. Time will tell, bring on 2018! Interestingly, I own all 4 of these top games he mentioned, but none of them are they reason I bought the Switch. 21. 23 including sold games. On Dec 25 I will own super Mario odyssey and XC2. This is sort of stating the obvious, but it's pleasing to hear/read nonetheless. The young system is already building up an impressive library. @Aerona He's wrong. Splatoon 2 sold 3.61 million copies as of September 30, 2017. @SwitchVogel You should update the article. It just reinforces that hardware can't sell itself alone. Any successful console in the past has done this simple thing I've said time and time again with each passing console generation-- Bring the games, and they will come. Good advertising and consumer awareness always helps as well, and the Switch has done a good job of this. Looking forward to see how they sustain the momentum into 2018. @NinNin @Aerona Yeah so it's probably closer to 40% attach rate. Not to mention it's their highest selling Switch game in Japan to date. Zelda and Mario had no competition?! They are the competition. Seeing as the Nintendo Switch have run me broke (something that never happened with the Wii U) buying all those games and then some in a short timeframe, I say it well earned. Too many great games, not enough time and/or money. I am looking forward to 2018. I'm pretty sure every 3rd party developer in their right mind have already started working on games to release next year with the raising install base. No question 1st party titles will be there. It's possible that Reggie means recent sales, not lifetime sales. In that case, it's possible that 1/4 of new Switch owners buy Splatoon 2. @outsider83 Indeed, if you think of the mount of PS2 sales that were driven as a cheap DVD player rather than a gaming console, and PS1 sales driven as a cheap CD player, PS3 as a cheap BD player, and even Wii as a cheap netflix player.....Nintendo didn't need their inventory consumed by people that want a cheap ipad that didn't intend to buy games when they can't even fulfill all demand for those that intend to buy games! They definitely made the right call. @Aerona Well, in NA. In Japan it's probably 115% Still sad though, not sure why it doesn't pick up higher sales in NA. MARIO and Zelda are both easily considered “killer apps” that would both on their own drive hardware sales. These numbers are very impressive but not surprising to me. This just highlights why I have loved Nintendo for 3 decades. Nintendo games usually put everything else to shame. I can’t wait to see the lifetime sales of these titles by the end of the Switch’s lifecycle, they will surely be staggering. This is good and all but what about 2018, whats coming? @Krull It should though, XC2 has entertained on the same level as the likes of Odyssey, BOTW, and P5 this year. So when will that muppet finally tell his slaves to remove that stupid region lock from the 3DS before it completely dies out? Nintendo can’t complain, 2017 has really been good for them. I still miss proper Nintendo Directs though. Since Iwata died, they really haven’t been the same. Sadly, I think they died with him. I loved those directs so much. They where my reason for playing Nintendo games. So of course, I’m back to playing World of Warcraft. I'm fairly certain Reggie is referring to the US only, as Splatoon 2's attach rate is far bigger than 25% worldwide (thanks to Japan lol). But nevertheless, the numbers are very, very good. Truly a good year to be a Nintendo gamer. @penfold007 yes... i've spent more on games for the Switch in 10months than i'd spent in the lifetime of any other console... I have had to ebay a few i'd completed to keep up! Worldwide or American sales? Reggie usually only talks about American stuff. Article doesn't mention anything about this. Splatoon 2 should have been much more, if only they have included Split Screen for local play. @iammikegaines Yeah...you see my point. @Cosats And what if I was expecting this?